We are one of the renouned and distinguished manufacturer and supplier of Uperleg-Tuyer Stock Compensator in the industry. 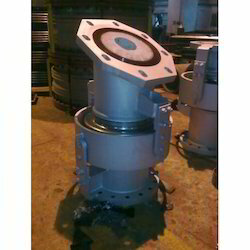 These Uperleg-Tuyer Stock Compensator are manufactured as per the industry norms and standards. These Uperleg-Tuyer Stock Compensator are supplied at a very competitive price to our valued clients. 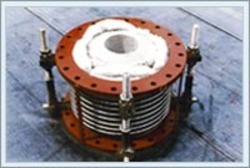 Pressure Balanced Bellows Expansion Joints are normally used where a change of direction occurs in a run of piping and pressure thrust to be absorbed. Tuyere is a tube, nozzle or pipe through which hot air is blown into a furnace or hearth. Air or oxygen is injected into a hearth under pressure from bellows or a blowing engine or other devices.